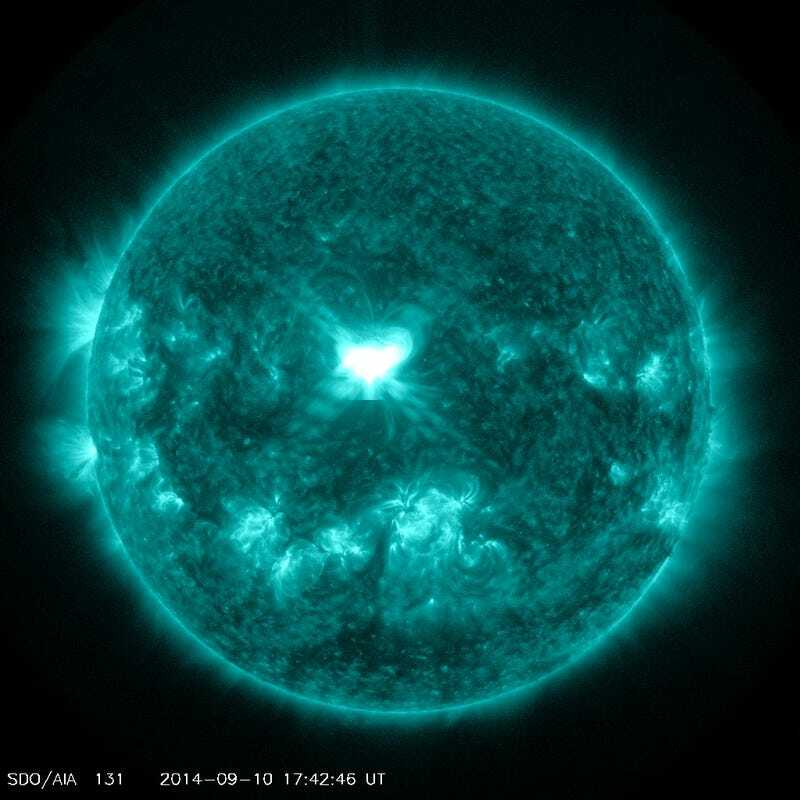 The sun fired off an X-class solar flare, the most powerful classification, this afternoon, from an Earth-facing sunspot called Active Region 2158. The flare was powerful enough to cause a sustained blackout of high-frequency radio communication here on Earth. NASA's Solar Dynamics Observatory spied the flare this afternoon, beginning at 1721 and peaking at 1745 UTC (13:21 and 13:45 EDT, respectively). The storm could reach moderate intensity (G2-class) with auroras visible across northern-tier US states such as Maine, Michigan, and Minnnesota. Another CME could be following close on its heels if today's X-flare also launched a cloud in our direction. It all adds up to a high probability of geomagnetic storms in the days ahead. We'll see how this storm compares to some of the bigger flareups in recent memory.